hungry for opportunity, bold in their thinking, creative in their instincts, expansive in their dreaming, determined in their actions, collaborative in their teamwork, humble in their achievement, stewards of the environment, and at ease with otherness. We are a national school, serving Chinese students, but we are also committed to attracting a diverse student population with representatives with representatives from a range of nationalities, economic backgrounds, and cultures. 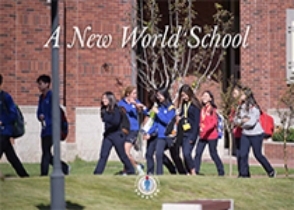 We see ourselves as a world school with a local core. Keystone is a school community dedicated to nurturing academic excellence, creativity, discovery, and compassion within its student body. Our admission team looks for students who are prepared to handle a rigorous academic program that embodies high expectations. We seek to bring together a group of bright, broadly-talented students, and we will help them to grow in intellectual, emotional, physical, social, and cultural realms. A qualified student is one who is likely to find success in the Academy’s bilingual, residential, university-preparatory program. Depending on the applicant’s age, this determination will be made by Keystone through a variety of means. We are looking for students who bring unique qualities to their grade at the Academy, and who distinguish themselves through their potential, their past performance, and their ability to meet the demands of our bilingual curriculum. Keystone does not discriminate on the basis of gender, race, ethnicity, disability, religion, sexual orientation, gender identity, or national origin in the administration of our admission policy or scholarship program. Students are encouraged to apply for other grades as well, and will be considered if spaces become available from departing families. Families are encouraged to contact the admission office to see if we expect to have openings in Grades Two-Five, Eight, Eleven or Twelve for this application season. Chinese nationals and foreign passport holders are both eligible to apply to the Academy. While the majority of our students will be Chinese, we recognize the advantages of a diverse student body to enhance global understanding. Our Chinese students will gain greater international awareness through this diversity and our foreign nationals will come to understand and appreciate the culture and language of their host country. Students applying to Foundation Year and Grade One must be five or six years old respectively by August 31st of the entry year, in accordance with Chinese school requirements. Applicants to Foundation Year are not expected to have a particular skill level in English or Chinese. Applicants who enter Keystone after Foundation Year will need to exhibit an appropriate level of competence in English and Chinese in order to transition into the relevant grade of our bilingual immersion curriculum. Applicants to Grades Eleven or Twelve must exhibit appropriate preparation to transition smoothly into the demands of the IB Diploma Programme. In order to be considered for admission to the Academy, students must complete application by the application deadline. Please see How to Apply for more specific application instructions by grade. Keystone Academy provides some accommodations to support the learning needs of students who are gifted or who have learning difficulties. Our Center for Student Development (CSD) provides services to assist student learning and academic growth. As needed, the CSD will develop academic support plans, coordinate some accommodations, provide ongoing case management, and serve as liaisons between outside professionals and the school, and between families and teachers. If you feel your child may be eligible for accommodations, please indicate this on the Parent Statement in the application so that the admission committee can assess the Academy’s ability to support your child’s needs. Keystone is committed to enrolling the best candidates, and we recognize that many talented students may not have the resources to afford our tuition. For these reasons, we have established a merit and need-based scholarship program. Those families interested in applying for an Academy scholarship must complete the Scholarship Application in addition to the admission application. Admission to Keystone is competitive. We are not able to offer places to all students who apply. If we do not offer admission to a student, it will be either because we do not feel our program is a good fit for the child, or because we do not have enough spaces in the class to accommodate all of our qualified applicants. Applicants may not resubmit or revise application materials after a decision has been made, but we encourage families to apply again for a future admission year. Upon notification of acceptance, parents must confirm their child’s decision to enroll with a signed enrollment contract and a deposit equal to 20% of annual tuition. If payment is not made by the due date, we will offer the applicant’s space to a student on the waiting list. The final payment of tuition is due in June. Written notice of the decision to withdraw a student must be sent to the Admission Office—prior to the deadlines noted—in order to be considered for a refund. Parents should read the terms of the enrollment contract carefully as singing it indicates acceptance of these payment and refund requirements. All elements of the application must be completed by the stated deadline to be considered in our first round of decisions. We will review late applications on a rolling basis, starting in April, if spaces are still available. Admission acceptances are granted for a specific year of entry, and are not transferable to a subsequent year. While we appreciate the desire of applicant families to express gratitude for our work in the Admission Office, it is important that we keep our decision-making process free from perceptions of impropriety or inappropriate influence. In order to preserve the integrity of our admission process, members of the Keystone Academy admission team will not accept any monetary and/or in-kind gifts, regardless of perceived value, at anytime before, during or after the admissions process from any parent, friend, relative or person associated with a candidate for admission to the Academy.